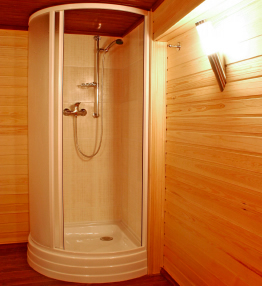 We are the plumbing experts when it comes to whirlpools, hot tubs, saunas, and steam showers. Our whirlpools, hot tubs, steam showers and saunas are the perfect luxury addition. Imagine coming home after a long, cold winter day spent slaving away at work…all you want to do is curl up in a warm place and be pampered for a little while. Well, with our whirlpool baths and home spa fixtures, you can have that relaxing retreat right at home for a fraction of the cost! Some of the home spa fixtures we provide and install include jacuzzi bath tubs, whirlpool tubs, hot tub spas, steam rooms, steam showers, steam generators for saunas, saunas, and other luxury bathroom remodeling features. Treat yourself to something special. Contact our whirlpools and home spa experts today to learn more! Quality Whirlpools, Hot Tubs, and Home Spa Fixtures for the ultimate luxury at home. Your on time plumber – has been taking care of the plumbing needs of homeowners. Our family owned plumbing company is dedicated to providing quality spa fixtures such as whirlpool tubs, hot tubs, sauna baths and more. Call us today to learn more about the products, fixtures and installation services we provide.